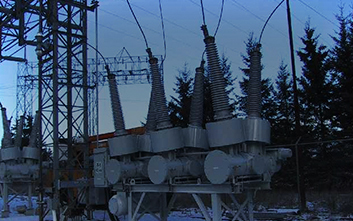 Hitachi provides a comprehensive range of products in the development of social infrastructure including those for transmission and distribution, power and industries, and power systems, among others. Our products aim to enhance the quality of life for the people and their communities, in reducing the carbon footprint on society. 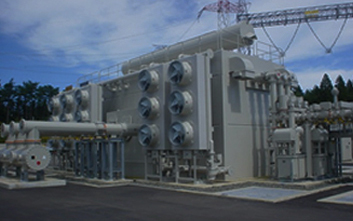 With 200 sites in 20 countries, Hitachi uses its knowledge in delivering full turnkey substations that match the demand for excellent reliability. Contributing to Hitachi’s vision of a stable supply of electric power is a series of transmission and distribution products. Hitachi offers products that exhibit high energy efficiency combined with exceptional reliability. Uninterruptible Power Systems (UPS) are perfect for data centers protecting load devices, such as server equipments, from unstable power supplies. 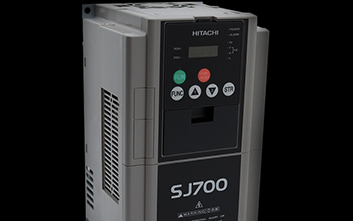 Hitachi Industrial Equipment is a leading supplier of energy efficient, high performing AC Variable speed drives. Usable for a significant number of applications, Hitachi Inverters are easy to install, program, and maintain over time. Our key products include the SJ700D Series, NE-S1 Series, and WJ200 Series. 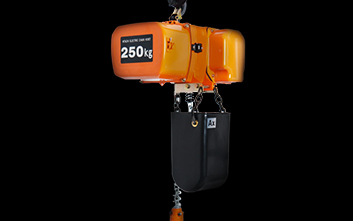 Hitachi’s range of electric chain hoists and rope hoists ensure that you complete your work-cycles with total strength and sufficient flexibility. While Hitachi explosion proof hoist and saddle can be employed at places where explosive gases are present, dedicated rope hoists can be manufactured on demand. 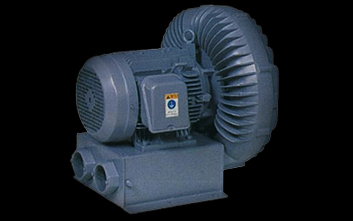 Hitachi and Hitachi Group Companies manufacture and provide technically advanced industrial-grade air compressors. 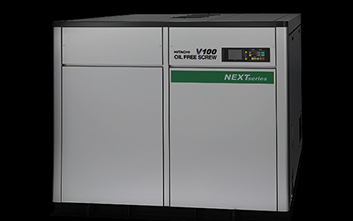 Our range of oil-free rotary screw air compressors and oil-less scroll air compressors can be customized to perform through tough environmental settings without sacrificing efficiency and reliability. In situations where back-up plant air may be needed, Hitachi also manufacturers and provides portable air compressors which may be used for temporary industrial uses. Hitachi’s vortex blowers are designed specifically to meet multiple industrial application needs. This oil-less high capacity blower is configured to minimize manual efforts at a low cost, while remaining environment-friendly with no carbon emission. 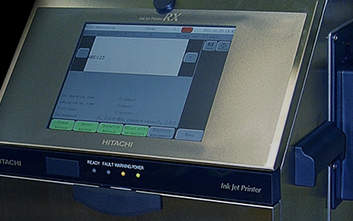 Hitachi’s inkjet printers are innovative machines suitable for marking and coding in different packaging applications on any product-packaging surface. Including RX Series and PXR series, our printers are known for advanced technology and high-speed printing. 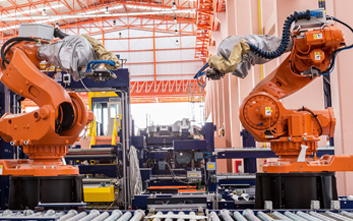 Hitachi Optimized Factory enables timely decision-making through communication and continuous monitoring of machines, people, materials and manufacturing processes. The solution aggregates OT, IT and IoT data and uses predictive analytics and machine learning methods to provide actionable insights that can drive continuous improvement and leaner operations. 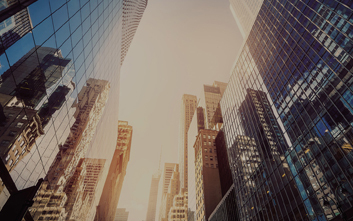 Hitachi Energy & Environmental Efficiency solutions are based on an innovative IoT platform that employs edge technologies to gather data and applies analytics and predictive modeling to evaluate and monitor energy use in real-time. It enables organizations to track energy usage, actively manage energy consumption and improve operational efficiency. 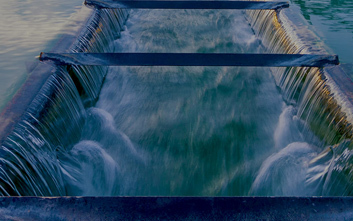 Hitachi Water Solutions address a full spectrum of water management challenges, from water quality and use reduction to waste water management and proactive compliance, integrating consulting, engineering and equipment with advanced analytics and global experience.